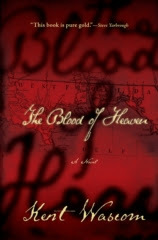 Kent Wascom's aptly named debut novel, The Blood of Heaven comes with a ton on accolades from the publishing world, as well as large numbers of reviews singing it's praises. It has been called "a startling debut" and Kent Wascom an author with "the kind of talent rarely seen in any novelist". The amount of positive press surrounding this novel, the fact that it is historical fiction, and that it is set in the American South before it WAS the American South, all peaked my interest. 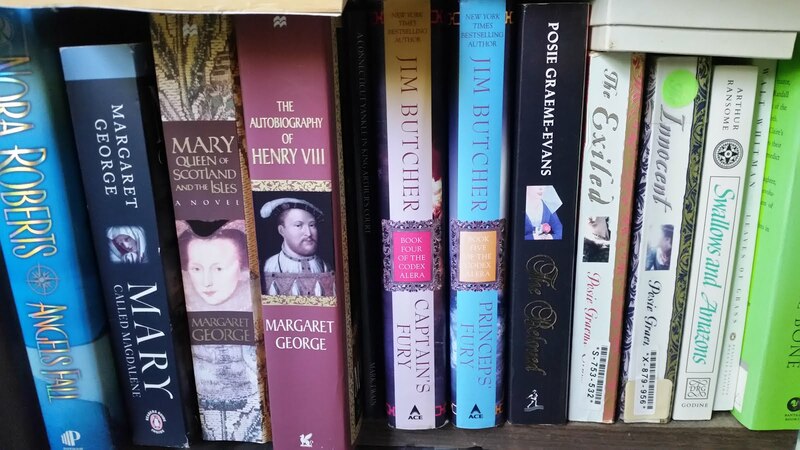 When I began to read, I sat down ready for a treat the likes of some of my favorite historical fiction epics like James Michener's Hawaii, or Margaret Mitchell's Gone With The Wind. Unfortunately, for me, this book did not live up to my high expectations. The main part of the book takes place in the area of the Louisiana Purchase and West Florida at the time when the land was mostly owned by the French and Spanish. It is the story of the birth of this area of America as the new country pushes to acquire the land in question, and a group of renegade settlers try to form their own country under the leadership of Aaron Burr. I have to admit, I have not read a lot about the founding of this area of the US, and therefore, there were a lot of things in the book that intrigued me and left me wanting more information. That, in a way, is one of the disappointments that I found in this book. The story was very ambitious, including many story lines, but not really doing justice to any of them. A few less pages and a bit more focus on one or two of the story lines would have allowed me to get more involved in the story. On the whole, I found the flow of the book hard to follow. Wascom's writing had brilliant moments, but more often, I found it disjointed and harried. The book is told from the viewpoint of the main character, Angel Woolsack, in a linguistic style that was popular in the 1880s. Perhaps this unfamiliar linguistic style was part of the problem, but I was never really able to get into the rhythm of the character's story telling voice. In addition, the voice of the main character, and therefore the book, was very harsh. There was a lot of graphic descriptions of fighting, death, bodily functions, etc. which just didn't endear me to the main character, or any of the other characters for that matter. I will readily agree that the life of these people was not the "genteel" life of the planters and plantations, and as such, the main character's voice was appropriate, in the end, my inability to identify with the characters made it all the more difficult for me to get involved in the story. The funny thing is, as disappointed as I was in this story, there were parts of the story that I enjoyed. The bond between Angel and his wife, Red Kate, which stood the test of time and weathered so many hardships, was a plus. In addition, I was intrigued by the politics that went into defining the future of this area of the country, and the fact that a group of renegades, lead by Aaron Burr, tried to put together a revolution in West Florida is something I would like to read more about. All in all I would say that, although there were parts of the book I enjoyed, overall this was not the book for me. As I read it, though, I kept thinking that this would be the perfect book for either of my adult sons, my father, and many other people who like the rough and tumble, down and dirty, no sugar coating stories of the frontier. In addition, the flashes of brilliance throughout the book lead me to believe that Kent Wascom has a bright future. He definitely has already captured an audience for his story....it is just a group that does not include me.